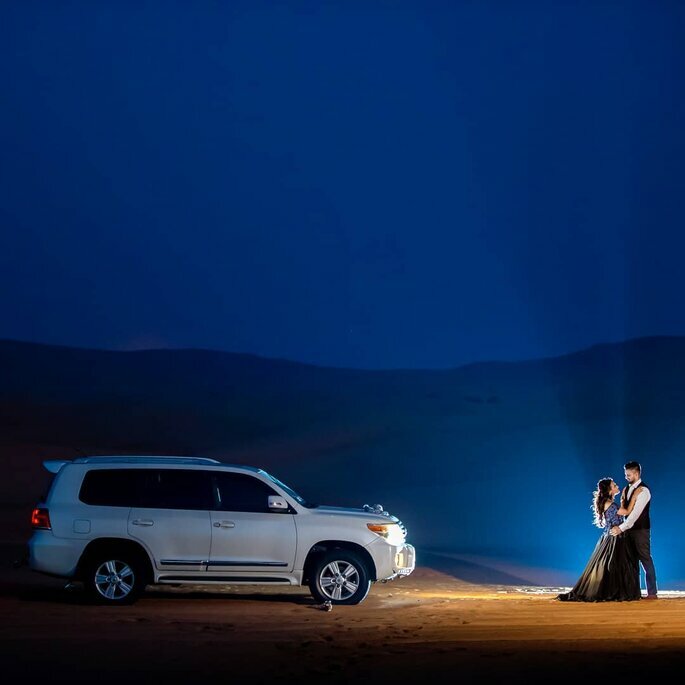 A Pre-wedding photo shoot is always fun and thrilling for the couples. 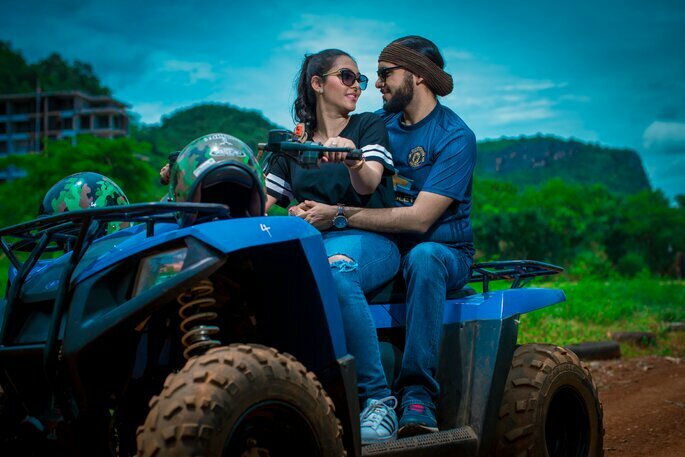 We have seen them incorporating some of the coolest props like color bombs, and the most couples went a step ahead to take trek to the rugged mountains in traditional ensembles just to satiate their venturesome souls. This is why we have crafted this article with Studio Kelly Photography to talk about the prop that has been limited every time in the couple’s photo shoot and less talked about. 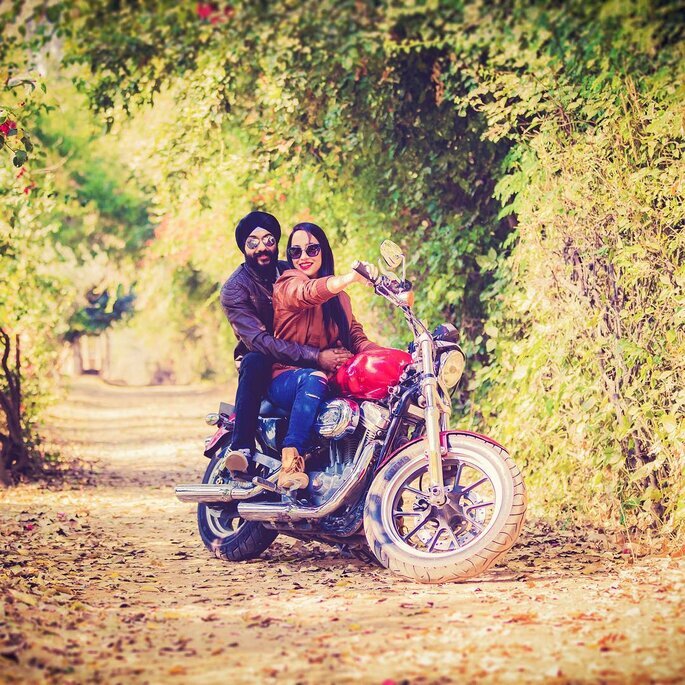 Using vehicle, as a prop, is truly an amalgamation of excitement and uniqueness that will unquestionably bring out the hidden Bollywood artist in you. 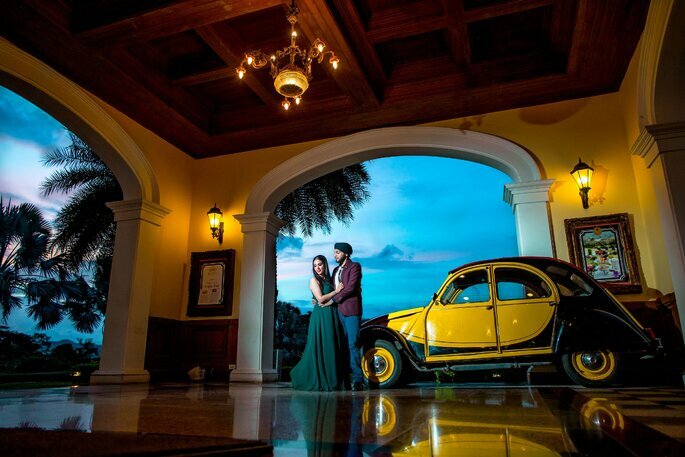 Move away from the basic photography where you always see couples in royal ensembles. 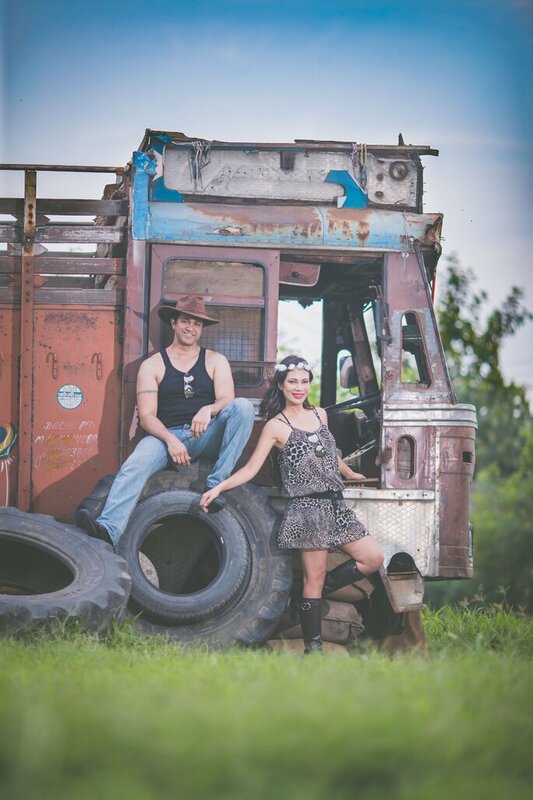 Not that we don’t love that snaps, but why not channel your inner fashionista standing next to a wrecked truck? 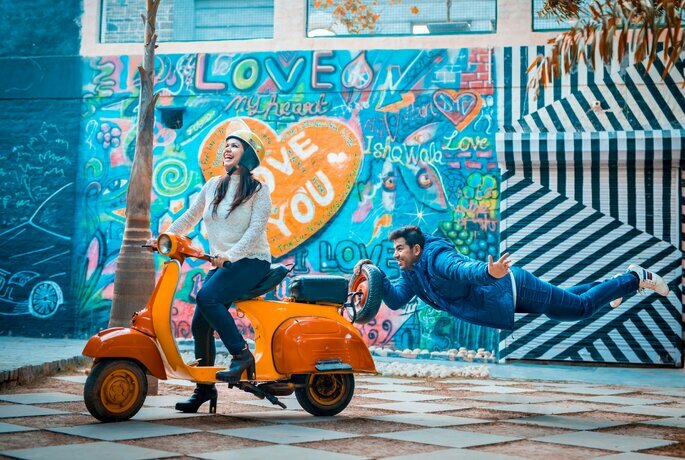 Levitate in love and ask your photographer to experiment with some non-traditional shots like this. 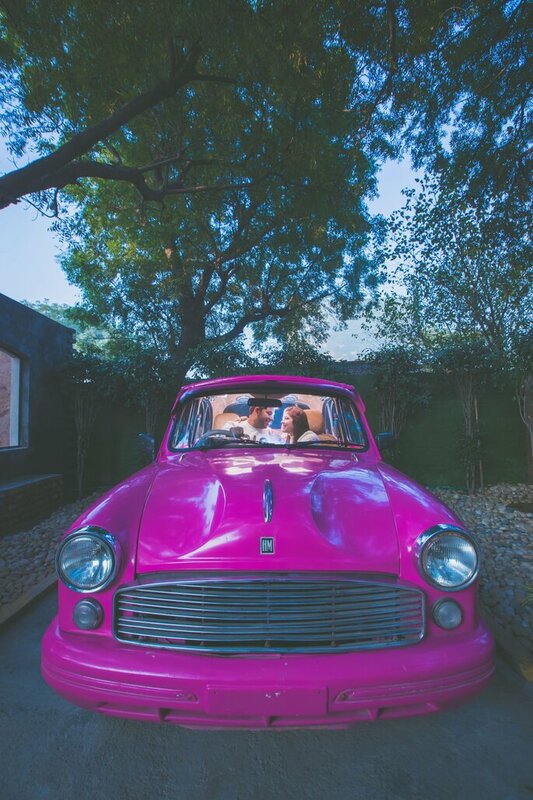 Couples can also go a step ahead and make an entry hovering over a vehicle wearing elastic ropes. 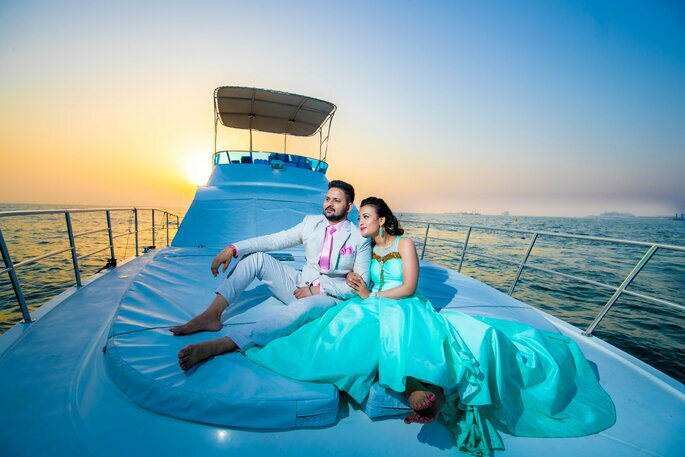 What’s more fun than escaping with your lover for a pre-wedding honeymoon on a yacht and incorporating that in your pre-wedding shoot as a prop! 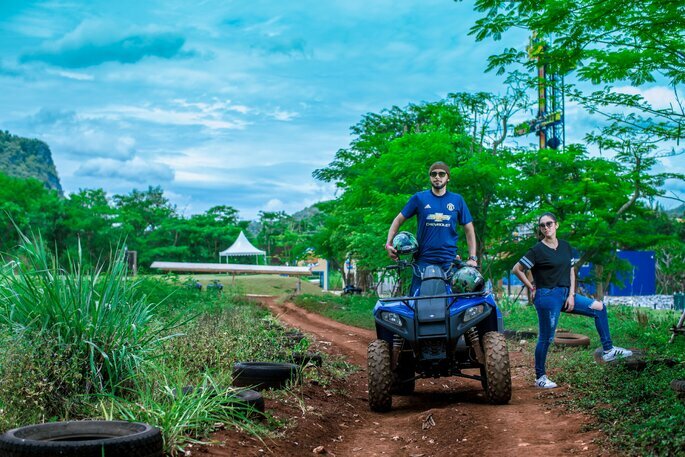 How about a four/three wheeler bike where your photographer captures a super cool candid driving shot? If you want to take it up a notch, then you can also pull off a safe and simple bike trick. This one’s for all the maverick brides out there. Show the world who runs it wearing your favorite blue ripped jeans and leather jacket. 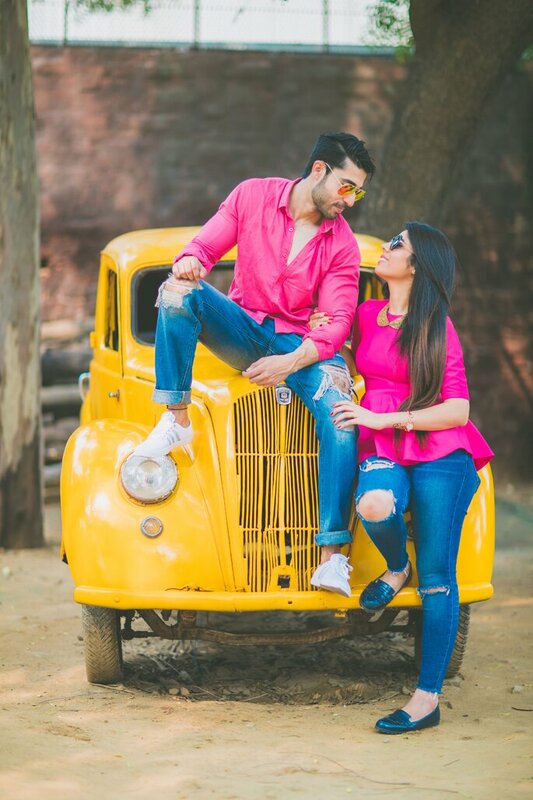 If you want to keep things simple and effortless, then just posing with your partner around a pretty vivid shaded car will create the magic. 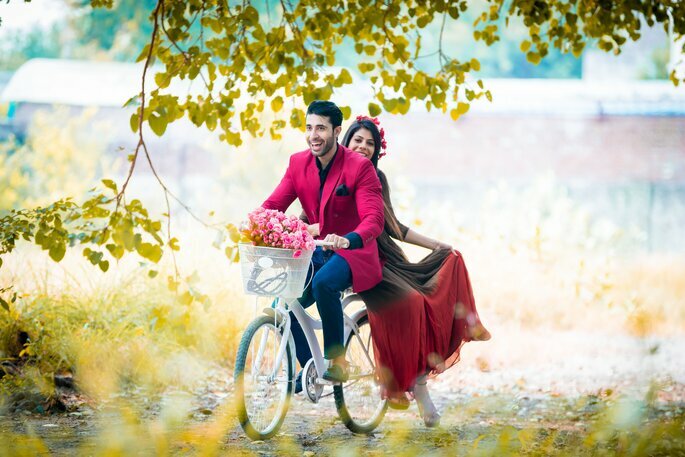 Nothing is more lively than a colorful setting and a vibrant floral backdrop for your pre-wedding photo shoot where the bride-to-be is beside her favorite cycle receiving a peck on her cheeks. Nothing is more romantic than sitting in a car with your partner under the sheath of the deep blue sky and looking passionately into his eyes. Giving an exciting ride in a decked up rikshaw to your partner and blending the beautiful twilight in the picture is the way to go. 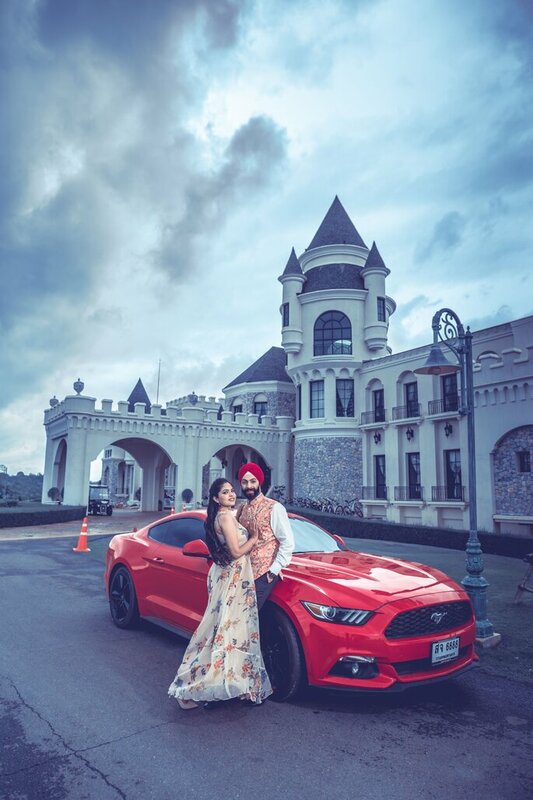 How fun it would be to just groove to your favorite upbeat Punjabi pop-song around the vehicle and asking your photographer to capture those candid moments! Would you like to contact Studio kelly Photography?